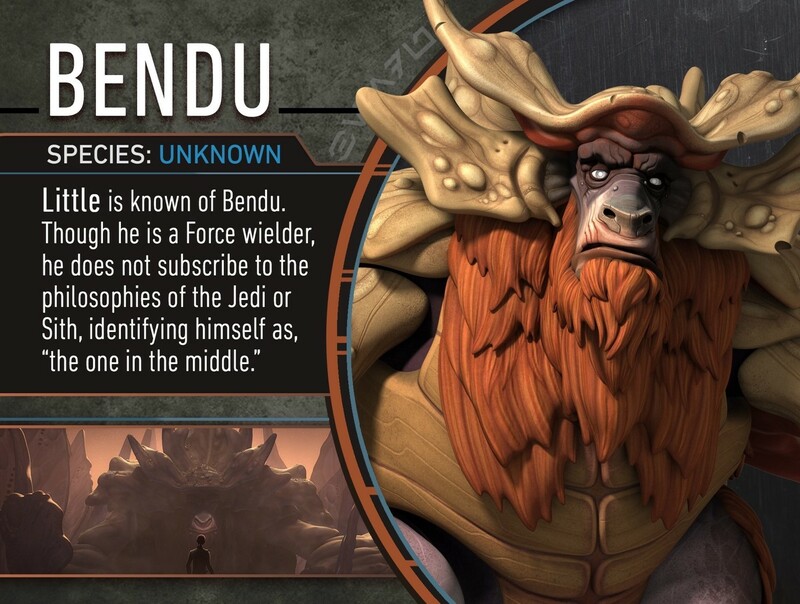 With the release of Star Wars Rebels Season 3 on Blu-Ray and DVD recently released, I thought it would be good idea to reflect one of the new characters introduced during this season, The Bendu. 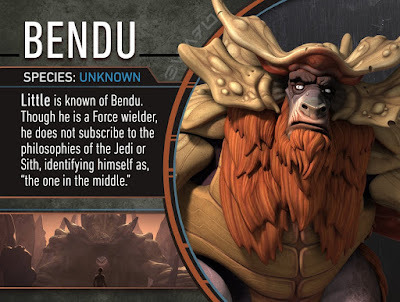 There is not much known about The Bendu even though this character appeared in several episodes within season 3. Basically, he is an ancient force wielder, who has seen much of the Galaxy. However, The Bendu has not been an active participant in the Galaxy for some time, preferring to sleep on the planet of Atollon until Jedi Knight Kanan Jarrus woke him up. What we do know is that he is not Jedi, not Sith, but ‘the one in the middle’. During the events of the season 3 finale, Zero Hour, The Empire attacked Atollon, and Kanan was hoping that The Bendu would be an ally in fighting The Empire. Instead, The Bendu, became angry at both sides of the conflict because as ‘the one in the middle’, he did not want to get involved in their conflict. Turning into an angry storm, The Bendu attacked both Rebel Alliance ships trying to escape the planet and The Empire Forces trying to capture them with powerful lightning. In the end, Thrawn, the leader of the Imperial Forces, was able to stop The Bendu’s attack and bring him down to the ground and confront him. However, after this confrontation, The Bendu disappeared without a trace. about him from other sources. What do you think of The Bendu? Do you think we will learn more about this character? Patty Hammond is the Everyday Fangirl from Michigan. You can find her on Twitter @PattyBones2 or blogging at EverydayFangirl.com and a few other places, talking about Star Wars and much more! Coming tomorrow on The Bearded Trio we bring you an interview with Star Wars Rebels' Vanessa Marshall. Stay tuned.